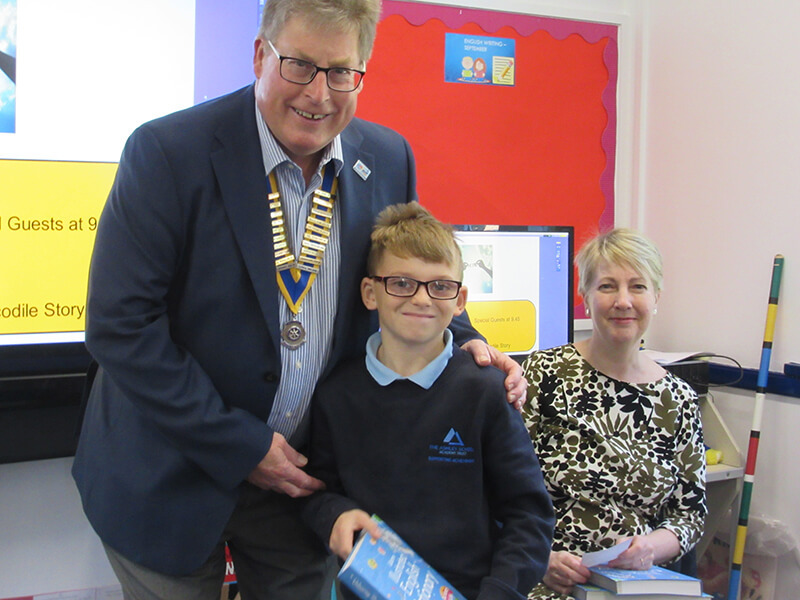 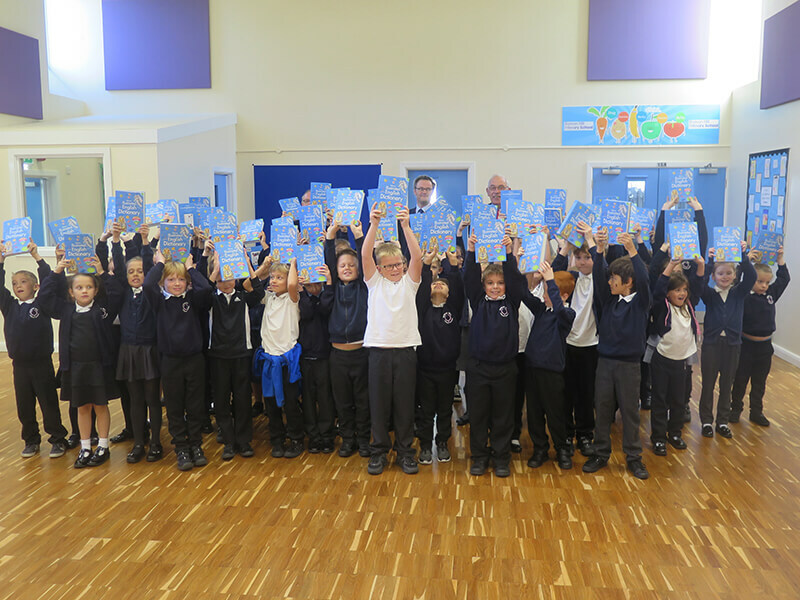 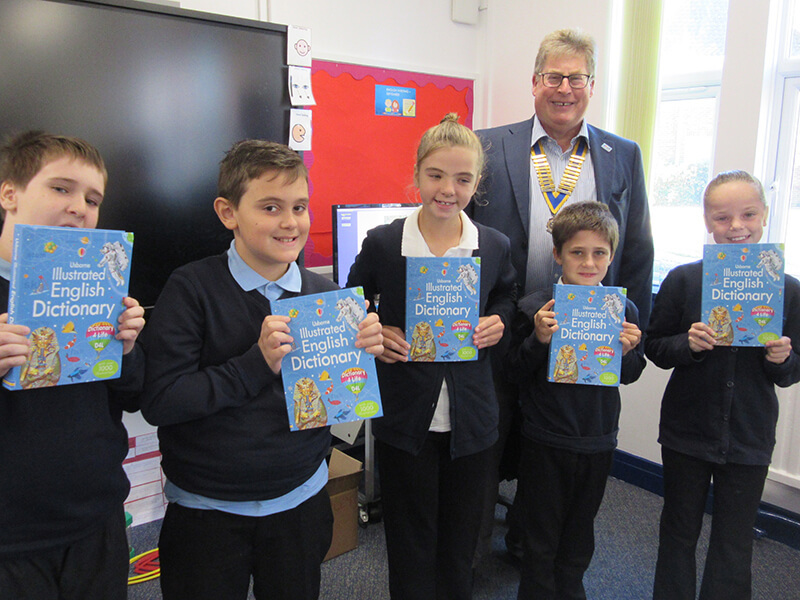 The three Rotary Clubs in Lowestoft (Lowestoft, Lowestoft South and Lowestoft East Point) have once again distributed Usborne Illustrated Dictionaries to some 950 Year 3 pupils in Lowestoft schools. This project to improve literacy has now been running for seven years and is funded by the Clubs and external sponsors. 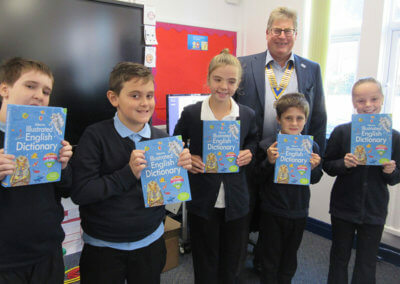 Pictures show the first presentation at Roman Hill Primary School in the presence of Peter Aldous and then some children from the Ashley School receiving their dictionaries from East Point President, Martin Lott.